4 radishes contain 4 calories and 0 g of fat. They also contain vitamins B9 and C as well as minerals like potassium and magnesium. 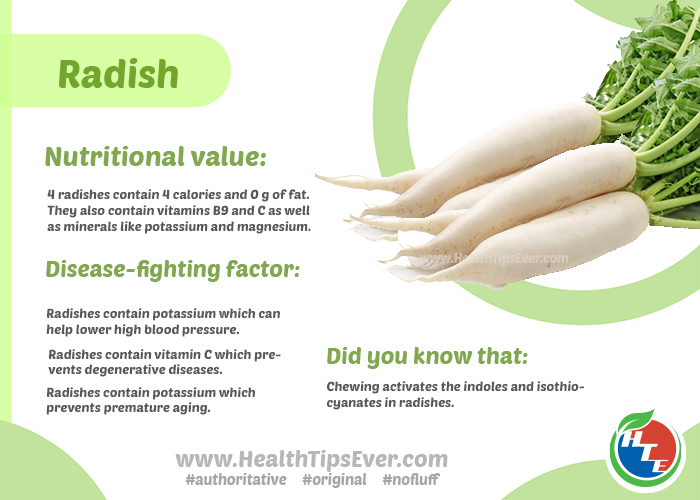 Radish contains potassium which can help lowering high blood pressure and premature aging. Radish contain vitamin C which prevents degenerative diseases. Chewing activates the indoles and isothiocyanates in radishes.